This is my apology letter to my second child. I have loved you from the very moment I saw those two blue lines. I won't deny the fear and worry that also ran through my mind. 'How would I manage with another child when your brother needs so much of my time', 'could I give you all of the love attention you would need', 'how I will I share my time with you, when your brother is in hospital'. Those were just a few of the countless thoughts running wild in my mind throughout my pregnancy. I'm sorry I spent the majority of that time filled with fear instead of excitement. When you were born I spent 2 days in hospital just so I could get some me and you time. So we didn't lose that precious bonding time. I knew as soon as I got home, your brother would need so much of my attention. I was scared I would forget about your needs too. I'm sorry I couldn't lay you on my chest all day like I did when your brother was a baby, so you could hear the sound you had heard for the last 9 month. The sound of my heart beating. But believe me baby girl, that heart was beating so strong and loud for you and your brother. I'm just sorry you didn't get to hear it much. 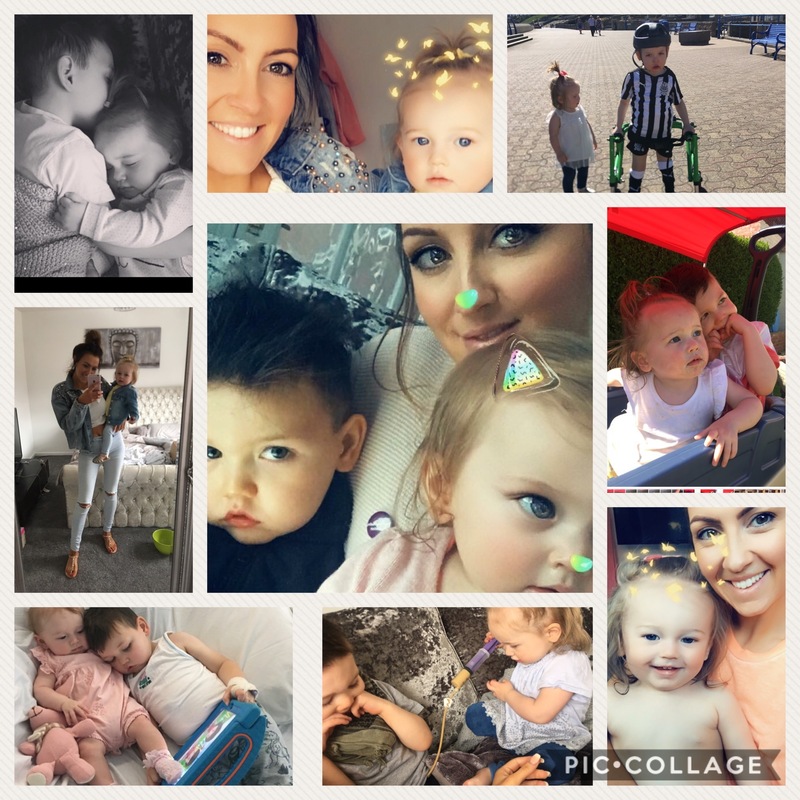 I was so busy with mammy duties for both of you and keeping your brother safe, we didn't get so much time to lie and cuddle as much as I would of liked. I'm sorry you had a bed time routine from day one when your brother didn't. I knew I had to get some routine in our lives for us to manage. I'm sorry that you seen me up with your brother most of the night while you would be lay in your basket. We were going to be a team me and you and teach him all about sleep, and show him he also needed a routine. And thanks to you my darling your brother now goes to bed the same time as you. And you both now sleep. ( most of the time) We did it. I'm so sorry that sometimes my attention is elsewhere. It really doesn't mean I love you any less. I'm sorry when you call my name I'm sometimes running in the opposite direction saving your brother from fallen and hurting him self. I'm sorry you see me feed your brother while your left to feed your self. I'm sorry that you see me get into bed with your brother during the night while you sleep alone. I'm sorry your left in the care of other people when I need to rush to hospital with your brother. I'm sorry you see me holding your brothers hand Around the garden while your running around wild, alone and exploring. Im sorry you see me push his wheelchair while your made to walk. I'm sorry for keep telling you off when you try to feed your brother, I know your trying to be kind and trying to show me you have finally learned the meaning of sharing and I'm so proud of you. I'm sorry that your brother doesn't like to play with you much, it's not that he doesn't want to or doesn't like you, he just doesn't know how to yet, but you and I will show him. I'm sorry he doesn't notice you much unless you resort to jumping on his head or biting his toes. Your brothers brain works very differently to yours but It will come baby girl. Yous will become best friends one day, I just know it. See the thing is, Your brother has additional needs. His brain is different and doesn't work the same as yours. He can't eat the same way as you, he doesn't walk the same way as you, he doesn't breath the same was as you, he can't play the same way as you, he doesn't sleep the same way as you and he doesn't understand the same way as you. Also his little brain has funny spells which make him fall over and hurt him self and it sometimes makes him shake really strangely, mammy may need to get you out of the way very quickly so I can see to him and make him better. I'm sorry he sometimes needs more of my time than you do. I lie awake in bed with guilt all through me. Hoping one day you understand. I hope one day you realise I love you both the same , You make me so proud everyday, every little milestone you achieve is so special to me, seeing how your little brain works amazes me everyday. Your little miss independent and don't like mammy trying to help you. You are showing your brother how to be independent and he has learned so much from you. Your already playing mother hen to your brother, I find you with a syringe at his belly trying to feed him through his gastrostomy. Your such a good little helper. You have a mischievous , funny, loving ,caring little character and I wouldn't have you any other way. Thank you for putting a smile on our faces even on the darkest days. You never fail to amaze me. You have taught me that love has no limits. I didn't think it was possible to love this much. And from the bottom of my heart, i am sorry.